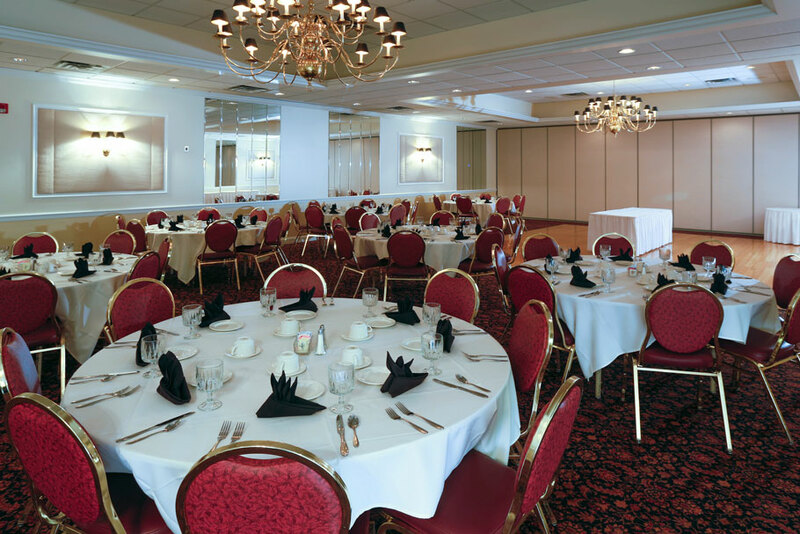 The Regency is our largest room that accommodates up to 300 guests. 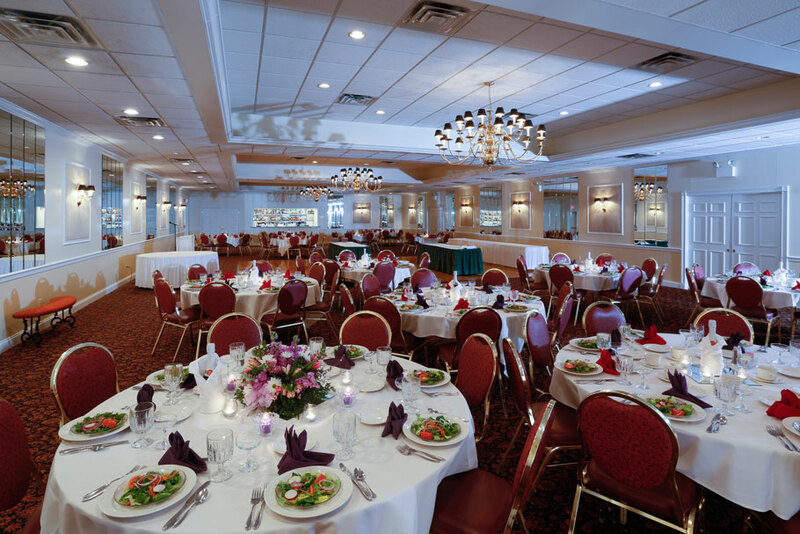 As the name suggests, it features 3 elegant chandeliers and a 20'x20' dance floor.. Perfect for weddings, parties, charity functions any large business meetings, the Regency will undoubtedly make you feel like royalty. 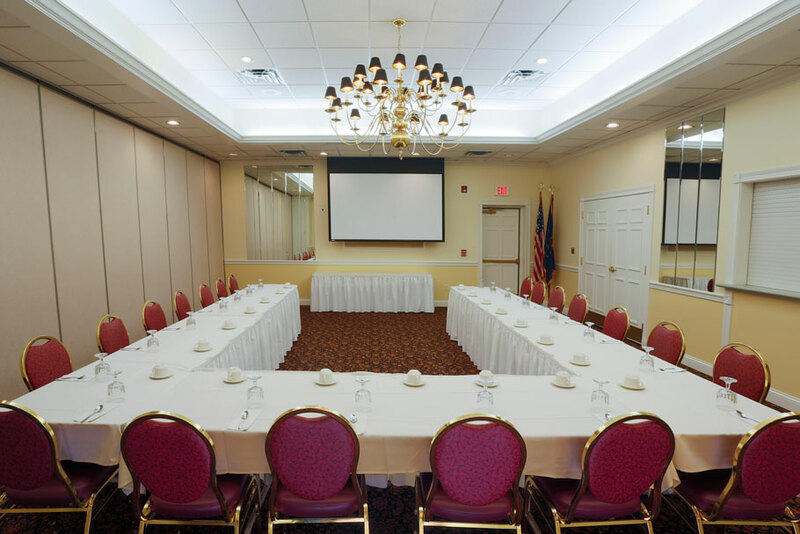 The Diplomat is suited to entertain up to 50 people in its small, cozy environment. Reserve the Diplomat for your next business luncheon or family gathering! The room comes complete with bar service, a projector screen, a podium and microphone if desired. The Ambassador includes the same amenities of the Diplomat as well as a 20'x16' dance floor and can hold up to 80 guests. Combined with the Diplomat room it could comfortably seat nearly 130 guests, making it the best choice for your class reunion, large business meetings or Christmas parties and small weddings.